with our CHP plants as strong as a mammoth. 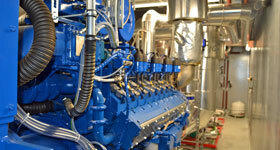 our gas-fired CHP plants operate day and night. Plant construction made in Germany. 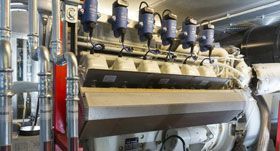 profitable operation of your CHP plant. technology of the future that makes you independent. The CHP plant in Berlin-Adlershof made of glass. 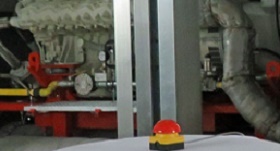 CHP plant of the year 2010 with 400 kW and biomethane. The new cogeneration plants of two hospitals in Grimma and Wurzen were officially put into operation. With the modern energy saving plants of the types SES-HPC 270 N and SES-HPC 100 N, the facilities optimise their energy supply. about our range of service? Or seeking your local service contact? 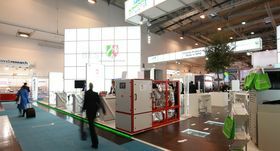 We look forward to meeting you on different trade shows and events like the annual CHP conference. Our CHP plants with biogas and natural gas are efficient, robust and strong. Reliable, functional and durable, they work side by side with the renewables for the energy revolution. 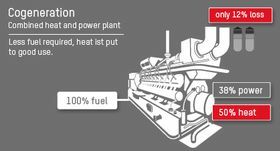 Compared to the separate production the combined generation of power und heat is highly efficient and environmentally friendly: cogeneration plants require less fuel and put heat to good use.